Originally published in Journal of Creation 10, no 2 (August 1996): 175-177. Contrary evidence pointing to relatively rapid, even catastrophic, formation of granites is now beginning to surface. One of the persistent scientific objections to the Earth being young (6,000–7,000 years old rather than 4.5 billion years), and the Flood being a year–long, mountain–covering, global event, has been the apparent evidence that the large bodies of granite rocks found today at the Earth’s surface took millions of years to cool from magmas. However, contrary evidence pointing to relatively rapid, even catastrophic, formation of granites is now beginning to surface. Granites are crystalline rocks that occur over large areas, sometimes exposed over hundreds of square kilometres. Deep in the Earth’s crust, the temperatures are sometimes high enough to melt the rocks, particularly if there are applied high pressures due to tectonic forces (earth movements). The theory has been that large ‘blobs’ of magma are thus generated at 750–900° C, and because they are ‘lighter’ than the surrounding rocks the ‘blobs’ rise like balloon–shaped diapirs into the cooler upper crust. There they crystallise as granites. Of course, there is the added time–span from cooling of the granite pluton within the Earth’s crust to its exposure at today’s land surface by uplift and erosion. Nevertheless, it should be kept in perspective that most recent estimates of these time–spans, including uplift and erosion, rely heavily on radiometric dating determinations and uniformitarian assumptions, and not just on the thermodynamics of crystallisation and heat flow/dissipation. Petford et al. have gone further, with calculations which show that a crystal–free granitoid melt at 900° C, with a water content of 1.5 weight per cent, a viscosity of 8x105 Pa s, a density of about 2,600 kg/m3, and a density contrast between magma and crust of 200 kg/m3, can be transported vertically through the crust a distance of 30 km along a 6 m wide dyke in just 41 days.7 This equates to a mean ascent rate of about 1 cm/sec. Petford et al. then apply their equations to the Cordillera Blanca batholith of north–west Peru and conclude that if its estimated volume is 6,000 km3, then it could have been filled from a 10 km long dyke in only 350 years. Magma transport must be this fast through such a dyke so that the granitoid magma does not freeze due to cooling within the conduit as it is ascending, and Petford et al. therefore maintain that the dyke intrusion of granitoid magma occurs in response to fault slippage within the Earth’s crust. They stop short of accepting this 350 year rapid filling of this batholith, because that rate is orders of magnitude greater than the mean cavity–opening rates based on radiometric dates for the associated faults. So Petford et al. are constrained by the radiometric dates to conclude that intrusion of the batholith must have been very intermittent, the magma being supplied in brief, catastrophic pulses, while the conduit supposedly remained open for 3 million years. In a more recent study, Petford has dealt with the question of how and at what rate, does deep crustal or upper mantle rock melt to form granite magmas?8 This is, of course, the first step in the process of formation of granites. Petford suggests that, according to the best theoretical models, melted rock in the lower crust segregates via porous flow into fractures within the source rock (usually metamorphic) above a mafic intrusion to form veins. Local compaction of the surrounding matrix then allows the veins to enlarge as they fill further with melt, and the fluid–filled veins coalesce to form a dyke. At a certain critical melt-fraction per cent of the source rock, a threshold is reached where the critical dyke width is achieved. Once that critical dyke width is exceeded, ‘rapid (catastrophic) removal of the melt from source’ occurs. The veins collapse abruptly, only to be then refilled by continuing porous flow of more melt from the continuously applied heat to the source rock. Thus the process is repeated, the granitic melt being extracted and then ascending through dykes to the upper crust in rapid and catastrophic pulses. Rapid provision of the required space within the upper crust would not be a problem within the context of a catastrophic global Flood that involved catastrophic plate tectonics.10 However, Petford only postulates a maximum vein filling rate of about 2.5 m/yr for a grain size of 5 mm and a porosity of 50 %, a rate that seems comfortably slow enough for his uniformitarian time–scale. They went on to calculate a maximum ascent rate of 1.4x104 m (or 14 km) per year for the epidote–bearing White Creek Batholic granitic magma. Therefore, since epidote is found preserved in granitic magmas crystallised at shallow levels, then granitic magma transport from the lower crust must be fast (very much less than 1,000 years). Furthermore, since the modelling of ascending diapirs indicates such magma transport rates are slow (0.3–50 m per year) and ascent times are 10,000–100,000 years,13,14 then the preservation of epidote crystals not only implies magma transport was rapid, but that the transport was via dykes rather than diapirs. Young, D.A., 1977. Creation and the Flood: An Alternative to Flood Geology and Theistic Evolution, Baker Book House, Grand Rapids, Michigan, p. 184. Hayward, A., 1985. Creation and Evolution: The Facts and the Fallacies, Triangle SPCK, London, p. 93. Pitcher, W.S., 1993. The Nature and Origin of Granite, Blackie Academic and Professional, London, p. 187. Petford, N., Kerr, R.C. and Lister, J.R., 1993. Dike transport of granitoid magmas. Geology, 21:845–848 (p. 845). Clements, J.D. and Mawer, C.K., 1992. Granitic magmas transport by fracture propagation. Tectonophysics, 204:339–360. Pitcher, Ref. 3, p. 186. Petford et al., Ref. 4. Petford, N., 1995. Segregation of tonalitic-trondhjemitic melts in the continental crust: the mantle connection. Journal of Geophysical Research, 100:15,735–15,743. Petford, Ref. 8, p. 15,740. Austin, S.A., Baumgardner, J.R., Humphreys, D.R., Snelling, A.A., Vardiman, L. and Wise, K.P., 1994. 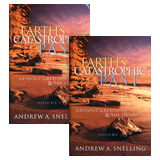 Catastrophic plate tectonics: a global Flood model of Earth history. In: Proceedings of the Third International Conference on Creationism, R.E. Walsh (ed. 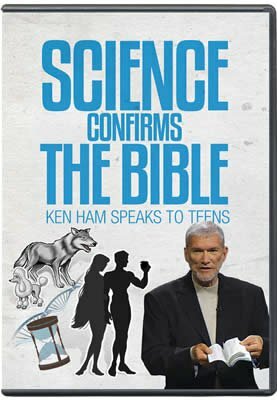 ), Creation Science Fellowship, Pittsburgh, Pennsylvania, pp. 609–621. Brandon, A.D., Creaser, R.A. and Chacko, T., 1996. Constraints on rates of granitic magmas transport from epidote dissolution kinetics. Science, 271:1845–1848. Brandon et al., Ref. 11, p. 1846. Mahon, K.I., Harrison, T.M. and Drew, D.A., 1988. Ascent of a granitoid diapir in a temperature varying medium. Journal of Geophysical Research, 93:1174–1188. Weinberg, R.F. and Podladchikov, Y., 1994. Diapiric ascent of magmas through power law crust and mantle. Journal of Geophysical Research, 99:9543–9559. Spera, F.J., 1982. Thermal evolution of plutons: a perameterized approach, Science, 207:299–301. Pitcher, Ref. 3, p. 182.